I had no idea I’d like carrot cake so much. 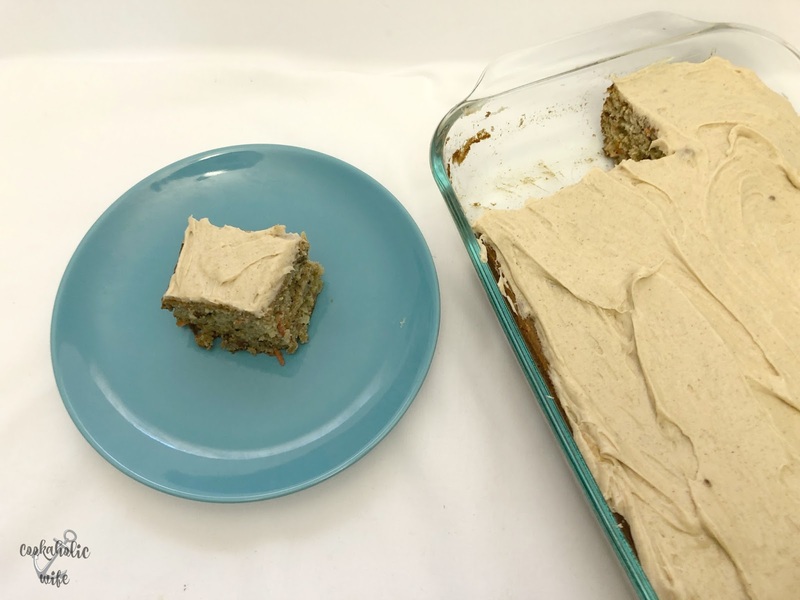 It’s so much easier to make than I thought and it pairs together so well with so many other ingredients I always have hanging around in my pantry. If it wasn’t obvious yet, the theme for the Fantastical Food Fight for this month is carrot cake. Fantastical Food Fight is hosted by Sarah of Fantastical Sharing of Recipes and every month bloggers are assigned a theme. They can make anything they desire, as long as the theme is included in the ingredients. 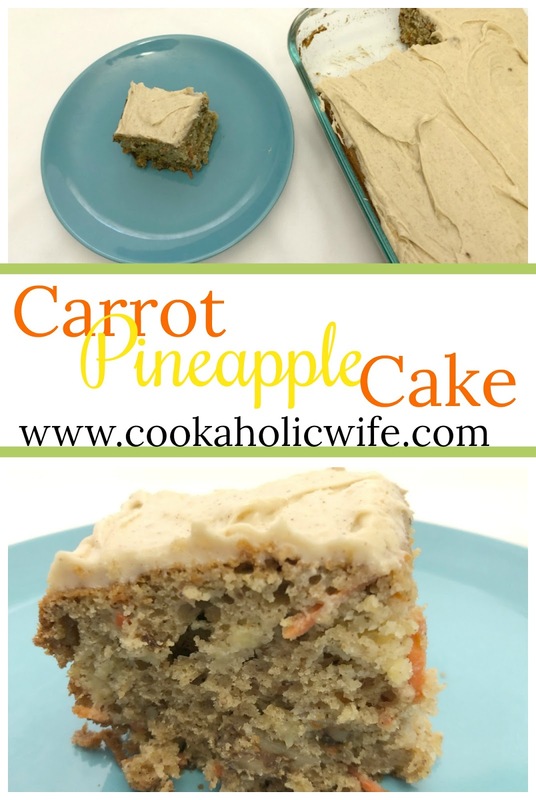 Carrot cake is pretty sweet on its own, but I decided to really take this one over the top and add in chopped up pineapple and then go a step even further and add brown sugar to the cream cheese frosting. Fair warning: you may want to cut these into small squares because they are definitely sweet! Carrot Pineapple Cake is a different take as it’s sweetened up even more with pineapple and a decadent brown sugar cream cheese frosting. In a medium bowl, whisk together the eggs, applesauce, brown sugar, and vanilla until combined. Set aside. In a large bowl, whisk together the flour, baking soda, cinnamon, baking powder and ground ginger until combined. Pour the wet ingredients into the dry and fold until just combined. Add the grated carrots, pineapple and walnuts and fold until combined and no lumps of flour remain. Pour into the prepared dish and bake for 50 minutes. Allow to cool completely on a wire rack. While the cake is cooling, prepare the frosting. Add the cream cheese and butter to the bowl of a stand mixer and beat on medium speed until combined. Add the brown sugar and beat until fully combined. Add in the vanilla and salt, then slowly add in the powdered sugar until fully combined. Spread over the cooled cake and cut into slices. 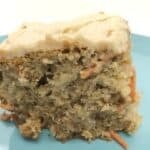 I love the little hints of crunch the walnuts provide and how delicate and tasty this cake is! This cake is just too tempting. 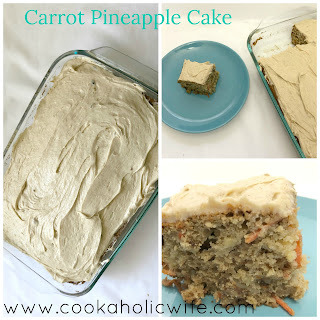 Pineapple, spices and cream cheese results in a delicious combination. This sounds delicious! I bet you were quite popular this week with all of the Easter recipes! 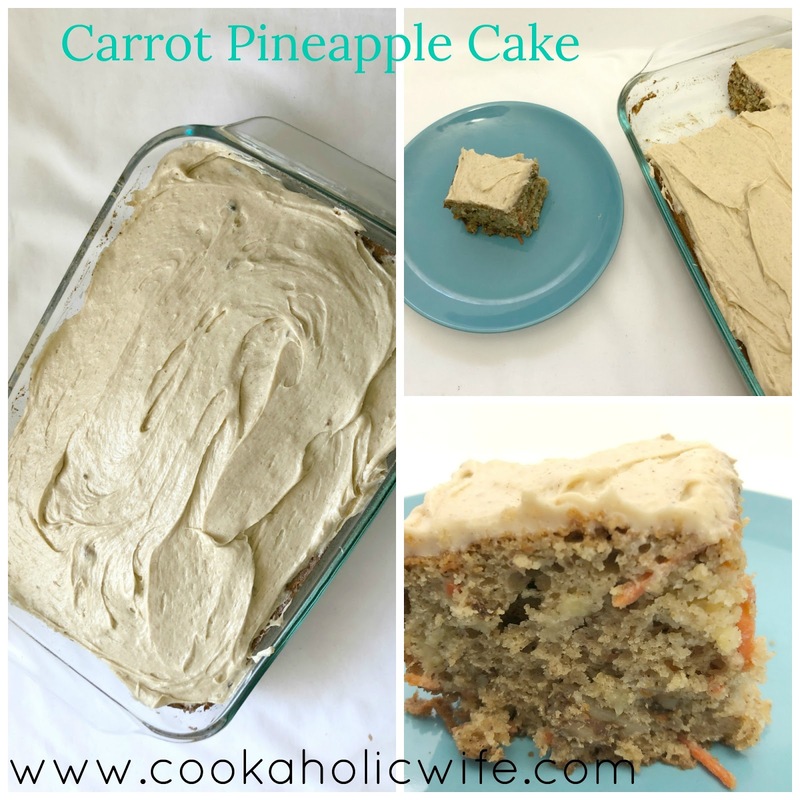 Your carrot cake looks delicious — my mom always makes it with pineapple, too! My favorite! 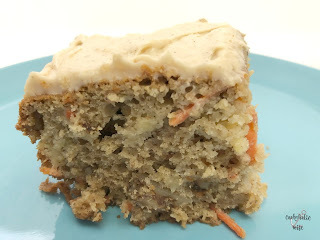 Carrot cake is a favorite around here. Glad you discovered it. Looks tasty, Nichole. I will try this soon.